Being a professional organizer, you’ve seen your fair share of common home issues – some are just accepted as part of our daily lives! But when it comes down to it, these areas are actually a source of great frustration. So how can we nix these issues and start getting people to notice their bad habits? Read on to find out the 6 most common organizing fails – and we’re sorry to remind you of such horrors! Ah, the Tupperware cupboard. There’s no place like it in anyone’s home – mismatched containers and missing lids all strewn about…it seems that even the most organized people still suffer from a messy Tupperware system! So how can a professional organizer make it any better? Well, it might be hard to believe, but there are a ton of ways you can organize your client’s Tupperware cupboard. From small separators to stackable systems, there is hope! One tip that will change their life: only buy ONE type of container. This will help in being able to stack everything neatly, and they won’t have to dive into a sea of strange lids to find one that fits! We’ve all had that feeling – having to constantly run back and forth from the stove to the utensil drawer to the oven mitt hanger. It’s stressful when you’re trying to prepare a meal or when there’s more than one person in the kitchen! Sometimes revamp an entire kitchen system is necessary. Your clients shouldn’t be spending all their time in the kitchen running, stretching, and reaching for items that should be within their grasp. Modeling their kitchen system based on what they need and where they’ll need it will save them so much time. Plus, they’ll avoid any accidents or spills in the process! It happens to the best of us, but it shouldn’t be a daily occurrence. One way to keep your client’s shoes in order is purchasing (or even building) a cute rack to store their shoes! 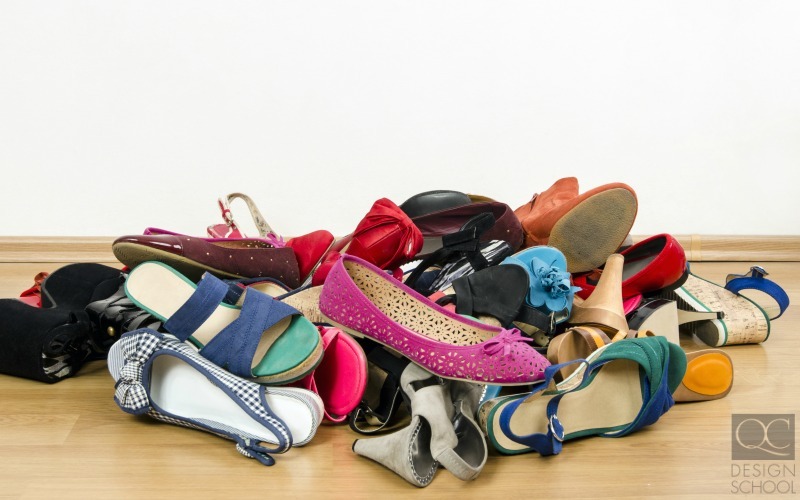 Imagine how much better they’d feel being able to pick out their shoes from a cleanly laid out selection each morning. It’s true, shoe racks can make everyone’s day start off much more smoothly! Deep, dark closets can be an absolute nightmare for even an expert organizer. There seems to be endless nooks and crannies that swallow socks, accessories, and dress shoes. But there are ways to make sure your clients make the most of their available closet space without losing track of half their belongings. How can anyone justify tossing all their clothes onto the floor when the closet has so much space to offer as storage? First of all, install some new lighting. It doesn’t matter what size the closet is, your clients will still need to rifle around a lot to find what they’re looking for if it’s dark! Adding a small, stick-on strip light will save them a lot of time and mess. 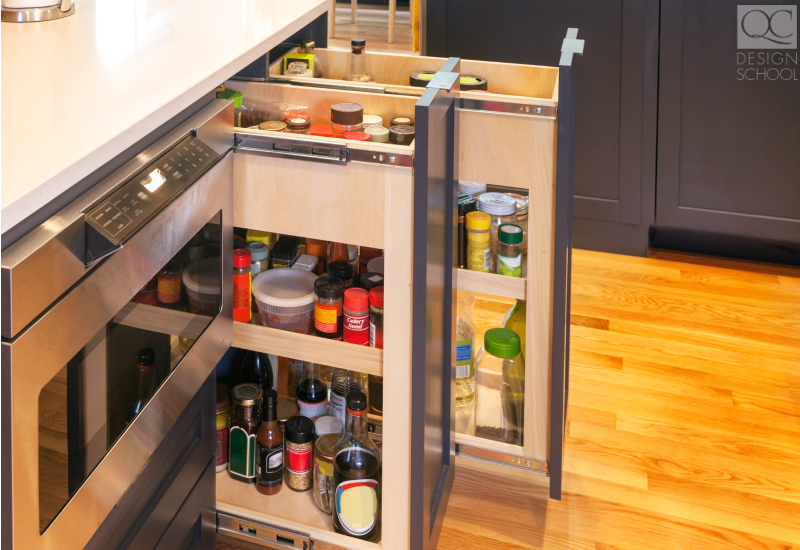 Next, you’ll want to implement storage systems like drawers, shelving, or other units. Keeping things off the floor is the key to a successful closet! We all have it! The one area in the house where all of the junk mail, coupons, flyers, and loose papers are stored. For some, this is a neatly labeled filing cabinet. For other, it’s a disastrous drawer in the living room. It should be obvious, but mail needs to be sorted and kept in a safe place. Nobody wants to lose a bill, only remembering they didn’t pay it when their water is cut off! Junk mail and coupons that they may or may not use should still be organized right when they come in through the door. It only takes about 2 minutes to sort a few flyers into the recycling bin! If your clients listen to your recommendation of implementing this step each time they come home, it will make their house look neat and organized, and, best of all, keep their head on straight. No more shuffling through mounds of old newspapers to find that ever-important credit card bill! Yuck, just yuck. This is a cardinal sin of organization, and it’s a bad (not to mention stinky) habit! Imagine having to rummage through 24 bottles of sauce and salad dressing every time you’re preparing a meal. Get those expired or barely-ever used condiments out of your client’s fridge. On top of that, dedicate certain areas of the fridge to specific foods. For example, we all know that fruits and veggies go in the crisper, but not everyone actually does this in practice. 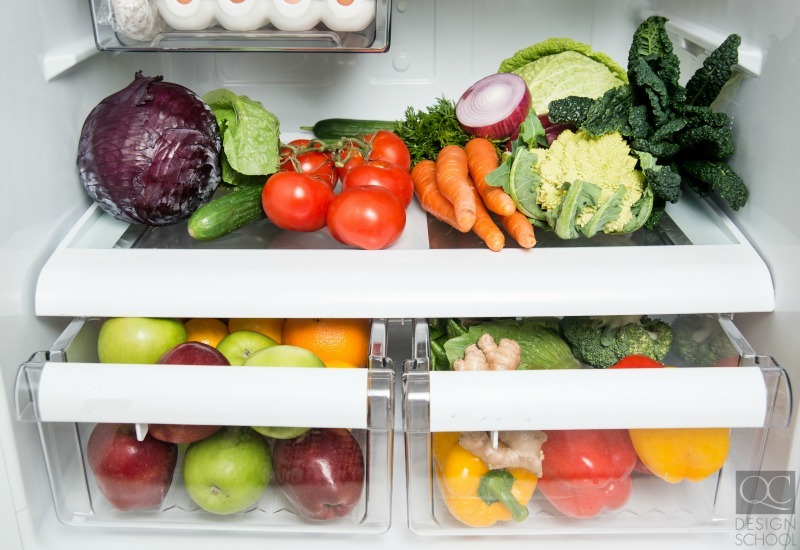 Explain to your clients the benefits of using their crisper drawer! They’ll notice immediately how much of a difference it makes in preserving their fresh ingredients. Plus, make sure your clients know to always separate and store their meat products in a leak-proof container. If they wait to portion and freeze chicken or beef, it could contaminate other food! This is a MUST, not just a suggestion. Make your life – and your client’s life – just a bit easier to manage. It’s a day-by-day thing, but they’ll build good habits in a few weeks’ time! Need more career advice? Find out how to find high-end clients as a professional organizer!